The end of daylight saving time is around the corner. As parents of young children, gaining an extra hour in the day takes on a new meaning. The pre-child days of sleeping an extra hour may be replaced by managing a tired child in a seemingly long day. You may wonder if and how this time change will impact your child’s and consequently, your sleep. If your child’s typical wake time is 7:30am, after the time change this would be 6:30am (according to the new clock). Below are some simple tips to ease you through this time and to help your child adjust to the time change. Firstly, breathe easy because for most children, the adjustment period typically lasts no longer than two to three days. Facilitate bedtime by adjusting their naptime. For young children who are still napping, stretch your child as far as you can toward his normal first nap time (according to the new clock). So, even if your child wakes earlier than usual and he wants to nap earlier, do what you can to keep him awake and occupied! Do your best to keep him up until his first regular nap time according to the new clock and then do the same thing for subsequent naps and his bedtime. By getting him to nap at his regular time(s) (according to the new clock) you will help him achieve his regular bedtime without becoming too overtired (i.e., if regular bedtime is 7:30pm, aim for 7:30pm the first night of the time change because naps have been adjusted). 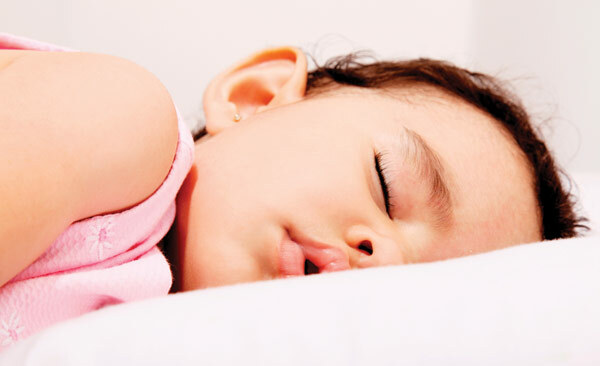 If your child is no longer napping, she may have a longer day ahead of her given that her day may have started an hour earlier the day of the time change. Be sure to spend her day, doing her regular activities and eating her meals, at her usual times (according to the new clock). Prepare your child by adjusting her bedtime. The night before the time change put your child to sleep at night a little later (based on this example, bedtime would be 7:45pm). On the night of the time change and for the next couple of nights adjust bedtime earlier working towards regular bedtime (e.g. if typical bedtime is 7:30pm, may start with 7:00pm (8:00pm to the child) and regularly increase to 7:30pm over next few nights (increments of 15 minutes are recommended). Initially, she may be overtired and irritable in the late afternoon, but after a few days, with her morning wake time slowly moving later, she will adjust. As it begins to get light outside about 1 hour earlier after the time change, to help you and your child sleep later following the time change, ensure that your child’s room is very dark (use room darkening shades if needed). Otherwise you may find her continuing to wake early in response to early morning light. With patience and consistency this fall time change will soon be a distant memory. Pleasant Dreams!